- Dismantle services for climbing tower cranes on the roof top of high-rise buildings / projects. - Dismantle services for Fixed stantionary type, internal climbing type of tower cranes. Some high-rise buildings/projects use climbing tower cranes to do construction. It faces with complicate matters to un-install climbing cranes when projects complete. 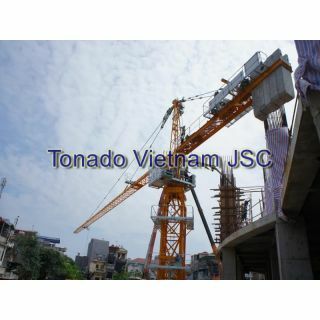 - Tonado Vietnam has professional equipment (derrick cranes), which will help to dismantle and lift down the climbing cranes to ground quickly and safely. - Tonado Vietnam will charge minimum cost for this special service. 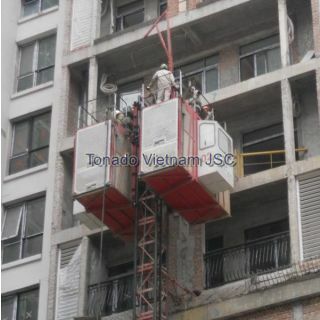 - Tonado Vietnam uses professional equipment to do the job, not using un-safe hand-made tools.